Whether you’re a runner, or someone who enjoys walking their dog, you too can move in solidarity with refugees around the globe. 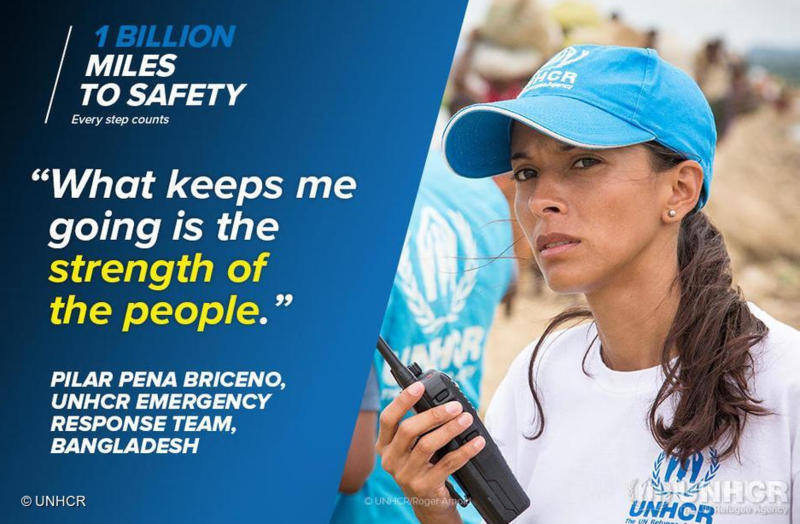 The United Nations High Commission for Refugees (UNHCR) is challenging people through their “1 Billion Miles to Safety” campaign to make every step count. Together we can cover one billion miles in 12 months, the same number of miles refugees worldwide travel each year to reach the nearest point of safety. The number one billion was calculated through the accumulation of millions of stories by UNHCR. In 2016 for example, Syrian refugees traveled more than 150 miles to reach Turkey. Rohingya refugees in Myanmar traveled approximately 50 miles to reach Bangladesh and South Sudanese refugees traveled nearly 400 miles to reach Kenya. This year, people in 27 countries across Africa, Asia, Central and North America, Europe and the Middle East will take part in the campaign. There is no journey too small, and through fitness tracking apps such as Fitbit or Strava or through manual inputting your mileage into UNHCR’s website, recording your support has never been easier. If you would like to take your support a step further, the option to seek sponsorship, or donate is also available. Alin Nisa is just one of the refugees you would be assisting through your steps. At 3 am, Alin’s family was forced to flee their village in Myanmar. The decision was made quickly, for the arrival of armed men signalled the start of abductions, and harassment. The only things Alin’s family was able to take with them was the clothes on their backs. Together with her husband, mother-in-law, and two young children, this extraordinary mother crossed mountains and rivers through torrential rain and pitch black nights. She carried her children for a majority of the journey, while her husband carried his mother who could not walk. When they arrived at the Kutupalong refugee settlement in Bangladesh, the family began rebuilding. UNHCR was able to provide Alin with a cooking kit, mats, blankets, and impromptu shelter made from plastic sheeting and bamboo. The family had traveled 64 miles to find safety. Sadly Alin is just one of the 140,000 refugees from Myanmar forced to make the journey. It is through our collective effort, that we can show solidarity, increase awareness, and raise money to protect and assist refugees as they rebuild their lives. 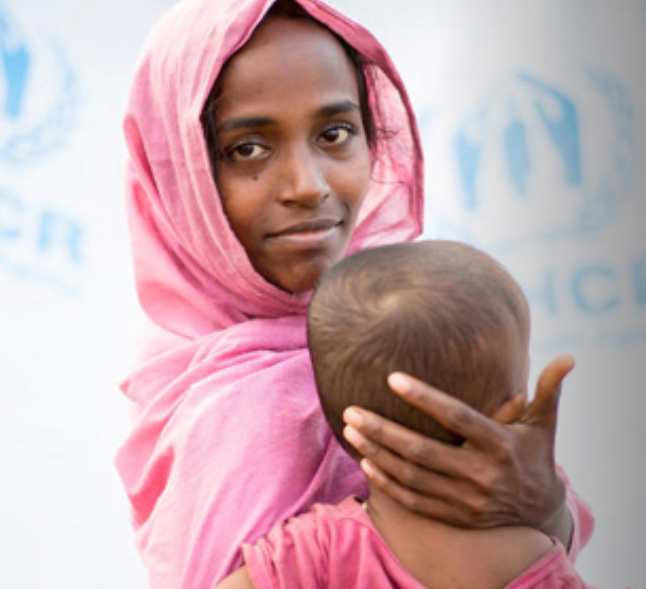 Supporting UNHCR helps refugees through providing food, water, shelter, and methods to safeguard their human rights. Join us and together we can reach 1 Billion Miles! Follow UNHCR @Refugees on twitter & help spread the campaign with a runner or jogger in your life!